Welcome to Cancun Vacation & Homes. Your Cancun Real Estate center! Welcome to your one stop cancun real estate and vacation central! Look no more!! We have beautiful condos for rent in Cancun, Gorgeous houses for sale in Cancun, Luxury penthouses for sale, your dream retirement home in the caribbean, Great Villas for rent in Cancun, and lots of other properties for sale and rent in Cancun and the Mayan Riviera. 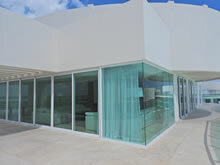 If you are a home owner, we can also provide you with excellent property management in Cancun. Only planning a vacation? 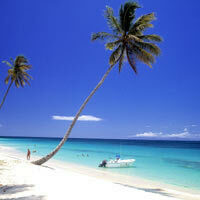 we also offer hotel reservations on line for 22,000 hotels in seventy countries. We can also provide you with Tour services, Airport transfers, car rentals, and much more! Luxury at its finest! 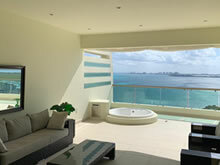 Beautiful Penthouse by the sea in Cancun exclusive BayViewGrand complex. Give your family a life in Paradise. In this outstanding condo by the sea in Cancun Porto Fino. 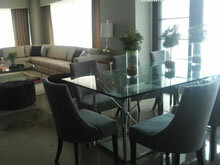 This magnificent luxury Penthouse is located in the exclusive Novo residential area in Cancun. Live the Dream life! in this wonderful condo by the beach in Cancun. In addition to services expected from a Real Estate Realtor & Property Management company that offers you houses, condos, villas and other properties for sale and rent in Cancun and the Mayan Riviera, hotel reservations in more than 70 countries for over 22,000 hotels, local tours, private tours, fishing, golf, housekeeping, Chefs, personal shopper, private ground transfers from and to the airport and much more all in one spot at the best rates. Except for the hotel reservations all other services are for Cancun and the Riviera Maya only. 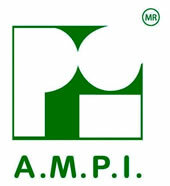 Our property management service is for the Cancun area only. Have a look around!, we are sure you will find what you are looking for. Thank you for visiting our online multiple service source Bookmark This Site For Future Reference and Feel free to send us your comments and recommendations, it is very important to us that your needs be met.